The Motor Ombudsman, the automotive dispute resolution provider, is pleased to announce that all 15 Eden Tyres & Servicing retail branches will be accredited to its Chartered Trading Standards Institute (CTSI)-approved Motor Industry Code of Practice for Service and Repair. 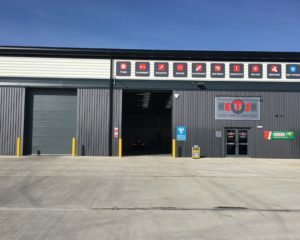 Derby (Derbyshire), Rugby (Warwickshire) and Hinckley (Leicestershire) will be the first three sites of the Derbyshire-based family-run business, which provides vehicle maintenance services to motorists and tyres to the trade, to be signed up to the Code. They will be followed by the next four locations in Leicestershire, namely Ashby-de-la-Zouch, Coalville, Melton Mowbray and Leicester. The comprehensive Service and Repair Code is one of four Chartered Trading Standards Institute (CTSI)-approved Codes offered by The Motor Ombudsman, and is designed to ensure that consumers receive an honest and fair service when visiting a Motor Ombudsman-accredited business’ premises for work or repairs on their car. Commitments made by garages who are signed up to the Code include the use of honest and accurate advertising as well as open and transparent pricing, employing qualified staff that act in the customer’s best interests, and having a swift complaints handling process in place should something go wrong. Thousands of independent garages and franchised dealers across the UK are today accredited to the Service and Repair Code, and all are listed on The Motor Ombudsman’s easily accessible online Garage Finder (www.TheMotorOmbudsman.org/garage-finder).